tpdnews: Charlestown man wanted for Shoplifting gets caught Shoplifting ! Charlestown man wanted for Shoplifting gets caught Shoplifting ! 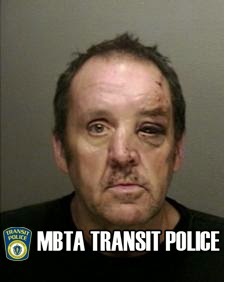 On July 5, 2014 at approximately 4:40PM Transit Police officers working in Area 1 were alerted to a male, later identified as Scott Hilton, 54, of Charlestown, who had just stolen food from Au Bon Pain restaurant located in the MBTA's South Station Commuter Rail. Officers quickly located Hilton and upon approach Hilton removed a salad from a bag he was carrying and admitted to his deed. Subsequently, officers discovered there were 2 warrants in existence for Hilton's arrest issued out of Malden District Court for Shoplifting 3rd Offense and Quincy District Court for Shoplifting 2 counts and Trespassing. Hilton was placed into custody and transported to Transit Police HQ for the arrest booking process. The salad was returned to it's rightful owner.